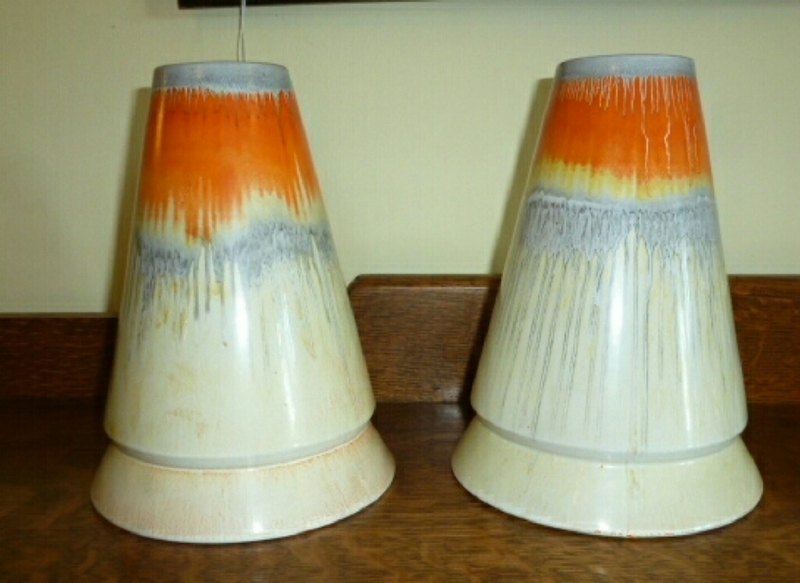 Seldom do these Shelley Harmony conical "Volcano" vases become available and certainly not in pairs and in as good as condition as this one. 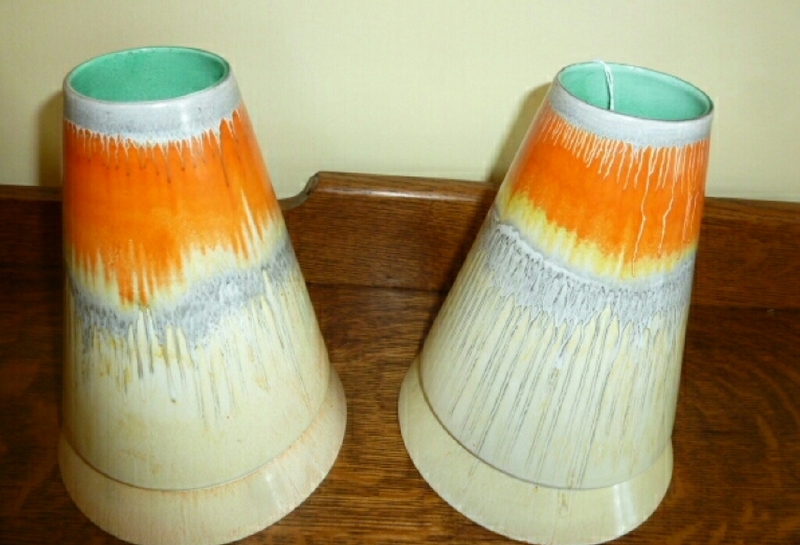 Deco drip ware in green, orange and black. 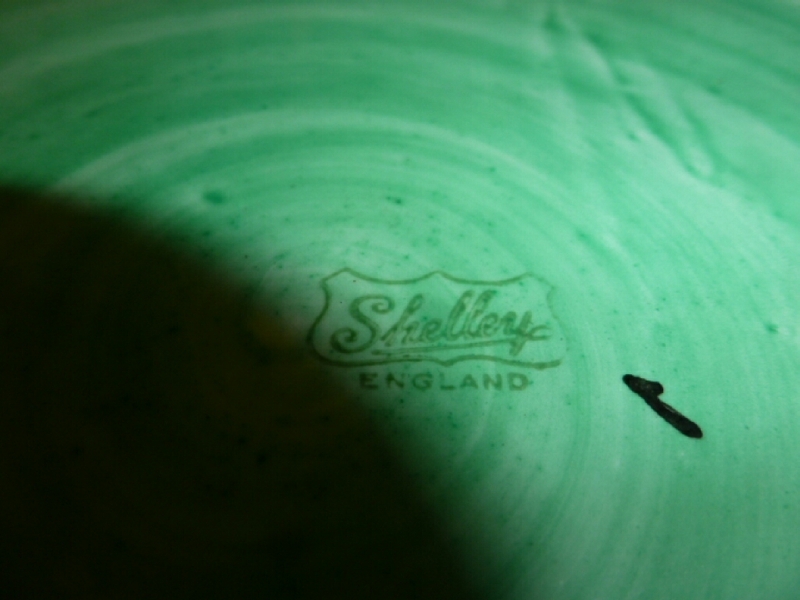 Backstamped with "Shelley" England and incised with the number 920. No chips or cracks and no crazing. Measures 9 1/2 inches tall, 7 inches across base and 2 3/4 inches across top.